UK BMES members traveled to Phoenix, AZ for the 2017 BMES Annual Meeting. Members (Sarah Thomas, Iman Shojaei, Mingjun Zhao, Dillon Huffman, Javad Mollakazemi, Cazmon Suri, Siavesh Mazdeyasna, and Amir Najarzadeh) presented research at the event and discussed the UK BME program with attendees at the UK BME Department’s booth. Many UK BMES members also took on volunteer positions to help the annual meeting run smoothly. UK BMES member Sahar Alaei (center) practices her mind control skills during the BMES Dessert Bash at the Arizona Science Center. 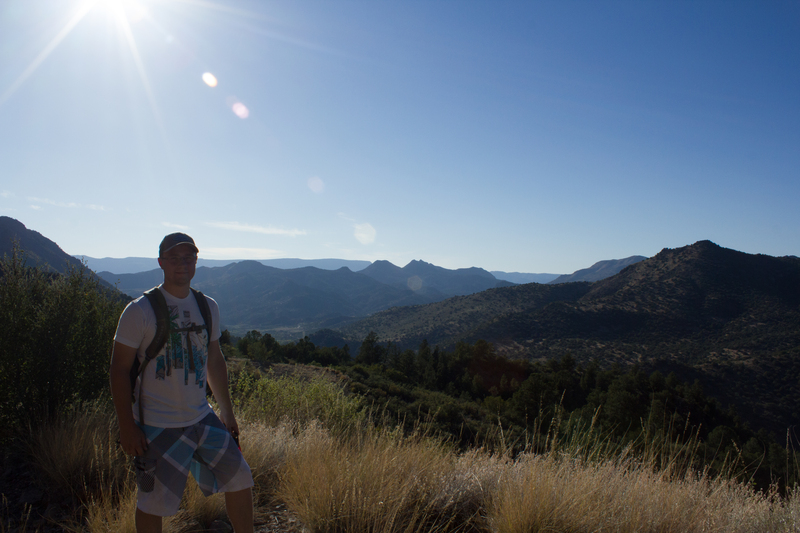 UK BMES member Dillon Huffman found some time for hiking after presenting his research on sleep modulation. UK BMES organized and led a professional development event that included breakfast, mentorship, and discussion of bioengineering concepts applied to solving problems within the horse industry. The group of both undergraduate and graduate BMES members and UK BME faculty were joined by world-renowned master horseman JP Giacomini. Students prepared short presentations on potential technologies that would solve problems found in the horse industry. Members listen on while undergraduate BMES member Tasneem Naheyan presents the background research her team prepared for the day. The UK BMES chapter organized an exhibit for the 2018 District Science Fair. Members had a great time discussing the biomedical engineering field with the bright young scientists taking part in the science fair and their families. Matt Ballard (left) and Chase Haddix (right) answer questions from science fair attendees. Undergraduate UK BMES members, Brittney Williams (left) and Madison Peppenhorst (right), behind the UK BMES science fair exhibit. The UK BMES was excited to receive our first invitation to Leestown Middle School’s Science Night. Members hosted an exhibit and discussed the biomedical engineering field with LMS students. Lucy Niemeyer (left) and Tasneem Naheyan (right) behind the UK BMES Science Night booth at Leestown Middle School. Engineer’s day (E-day) at the University of Kentucky is one the UK BMES’s favorite events of the year. Students come from all over to see the exhibits put on by students and faculty in the College of Engineering. UK BMES assists in organizing and conducting the biomedical engineering exhibits as well as a BMES exhibit. Officers working the UK BMES exhibit were able to share their enthusiasm for the biomedical engineering field as well as answer questions relating to it. UK BMES members working other BME exhibits shared their research interests with attendees and led hands-on activities. UK BME Department Chair, Dr. Guigen Zhang (right), with UK BMES members in front of the Human Musculoskeletal Biomechanics E-day exhibit. Javad Mollakazemi (left) and Dibyajyoti Biswal (right) educated E-day attendees on the electrical activity of the heart and how it can be monitored.